Decontamination isn't only for victims — it's also for the hazmat team! After cleaning up a hazardous material spill, hazmat personnel may need to be decontaminated. 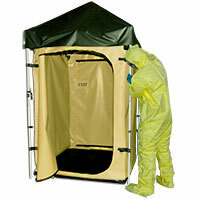 This is where our complete Single-Pac™ decontamination unit is an ideal fit. 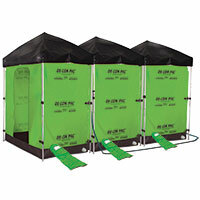 The complete Tri-Pac™ Decontamination Station gives much more flexibility to adapt to any specific incident: place De-Con Pacs™ at multiple evacuation points. Victims will not have to wait to be decontaminated at a single decon station, and instead will flow in a quick and organized fashion to multiple stations. Decon teams have the option to separate male and female victims, hazmat personnel and civilians, or casualties by degrees of prioritization. And, they'll have an ability to pre-stage De-Con Pacs™ in areas where large numbers of people gather, such as airports, stadiums, shopping malls, amusement parks and the like. Pre-staging De-Con Pacs™ saves time in setup. Andax Tactical De-Con Pac™ is a self-contained, puncture-resistant, PVC liner that attaches to an easy-to-open, rugged steel frame with an integrated shower. 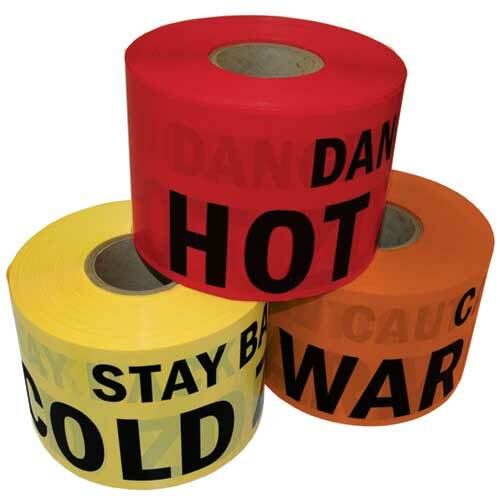 It can be custom or private labeled for your police or military unit, or your emergency response organization. When seconds make a difference between life and death, the first at the scene must be equipped to begin the decontamination operation immediately. 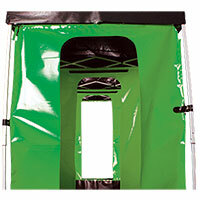 You need instant, portable and expandable decon equipment. Interior hook racks for shower wand, clothing bag, etc. The Pelican™ Case holds the Tactical Pac securely, but is easy to open. Vortex valves automatically equalize pressure inside to the atmosphere outside. Soft-grip handles operate in any position and heavy-duty in-line wheels ensure easy transport of the Pelican™ Case. 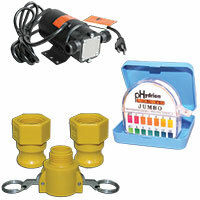 Keep your De-Con Pac™ responder-ready with 100% original equipment replacement parts. 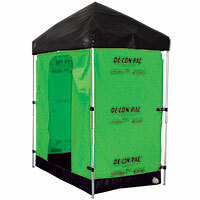 Because your De-Con system is designed with our exclusive reusable/disposable liner system, you can choose if you wish to decon your De-Con or simply replace the liner, doors or privacy roof. No need to replace your entire system. Simply drop in your new replacement parts and you are back to 100% readiness. It is that simple!